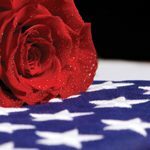 Lt. Col. Estel G. Burns, 97, passed away Thursday, October 11, 2018. Funeral services will be at 10:30 a.m. Tuesday, October 16 in Biggers Funeral Chapel. 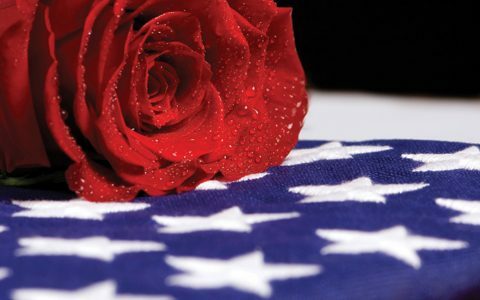 Interment with full military honors will be at 2 p.m. Tuesday at Dallas-Fort Worth National Cemetery. The family will receive friends from 6-8 p.m. Monday at the funeral home. Col. Burns was born August 9, 1921 in Bates County, Missouri to Arthur and Beulah Burns. He was a longtime area resident and a pilot in the United States Air Force for 27 years before his retirement. He was a member of Precious Faith Temple. He was preceded in death by his first wife, Dorothy and by 2 sons, Randy Lee Burns and Dr. Roger Burns. Survivors include his wife, Hazel Burns; son, Ronald E. Burns and wife Leah; step-son, James Michael Frank, Sr. and wife Shannon; grandchildren, Jason Burns, Danielle Burns, Josh Burns, Amy Hinojosa and husband Ruben, James Michael Frank, Jr. and wife Stephanie, and Julie Marie Jeffress and husband Michael. My deepest sympathy to Ronnie and the family. Estel Burns was an incredible volunteer, he taught many Square Dance classes, led a Music Jam session, and inspired members with his love of music. Thank you Estel for all the wonderful hours shared with the L O Bud Irby Lake Worth Senior Center. We will always be grateful. May your family be comforted today by the memories, thank you for your service and heart for others.